Burundi’s President Pierre Nkurunziza has won a controversial third term, taking nearly 70% of the vote, according to provisional results from the country’s electoral commission. Opposition leader Agathon Rwasa won 19% of the vote after his name was left on the ballot paper, despite a boycott. 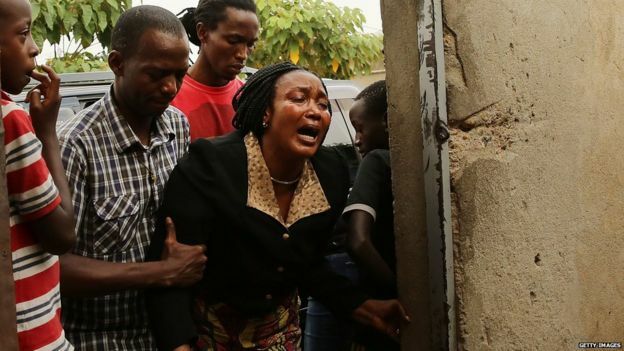 At least 70 people have been killed since Mr Nkurunziza announced in April he would run for a third term. The government accuses the opposition of provoking violent protests. Opponents says his bid was illegal, due to a limit of two terms in the constitution. Final, official results are expected at the end of next week. 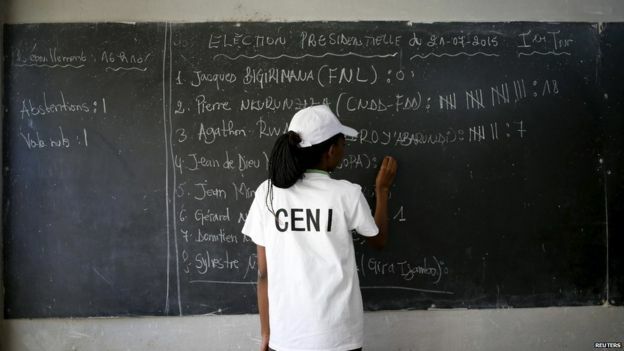 Turnout was more than 73%, higher than many analysts predicted, although it was significantly lower in the capital Bujumbura, where most of the protests have been. In an interview with the BBC after the declaration, Mr Rwasa described the elections results as “a joke”. “These are results set up in the electoral commission… not those expressed by the voters,” he said. Regional and international bodies have already said the conditions for credible and free elections were not met. “Ten years of dictatorship is too much”, Mr Rwasa told the BBC, citing alleged corruption and extrajudicial killings as reasons why many Burundians now want change. Mr Rwasa would not confirm whether he or other members of his opposition coalition Amizero y’Abarundi would be taking up the 30 seats they had been awarded in the parliamentary election, despite boycotting the vote. The African Union (AU) did not send observers – the first time it has taken such a stance against a member state. The US state department and the European Union expressed concern that the elections were not free and fair. In May, army generals opposed to President Nkurunziza’s continuing rule failed to overthrow him in a coup attempt. 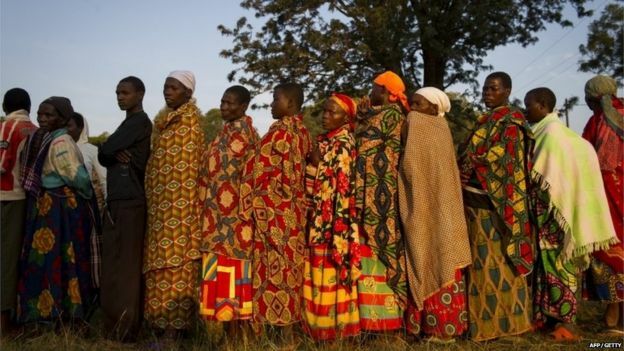 Tensions between Burundi’s ethnic Hutu majority – comprising some 85% of the 10.5 million population – and Tutsi minority have flared up regularly since independence from Belgium in 1962. Mr Nkurunziza led a Hutu rebel group fighting the Tutsi-dominated army until a peace deal led to him becoming president in 2005. The Constitutional Court backed his argument that his first term in office did not count towards the two-term limit, as he was elected by MPs.